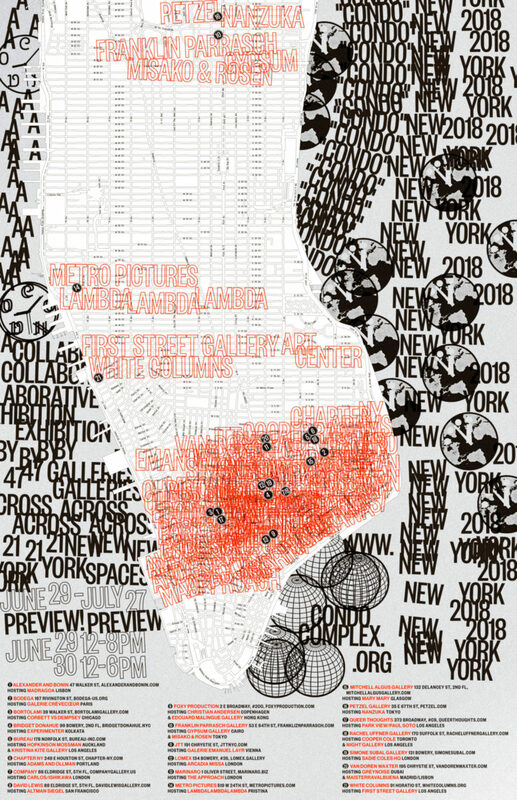 The second iteration of Condo New York, a collaborative exhibition by 47 galleries across 21 New York spaces, will take place from June 29 – July 27 2018. In 2016, Vanessa Carlos, co-founder of Carlos/Ishikawa gallery in Whitechapel, launched Condo London as a way to offer international galleries a site for creative collaboration and exchange. It has since expanded to New York, Mexico City, São Paulo, and Shanghai. This year’s New York participants include galleries from across the world, from as far as Auckland, Cairo, Dubai, Kolkata, Pristina and Tokyo. The proposal offers an intelligent solution for galleries keen to present their artists to a wider public, when the costs of participating in art fairs are immense and sales remain erratic. Carlos’s scheme involves local galleries lending their spaces for a month to foreign dealers to stage collaborative exhibitions, showcasing artists from both rosters. The project is not positioned as an alternative to art fairs, but rather, as a new structure enabling galleries of a similar size to unite to promote their artists and maximise on combined resources. This year, New York’s Bridget Donahue will be hosting Experimenter from Kolkata, with a presentation of work by Dhaka-based artist Ayesha Sultana. 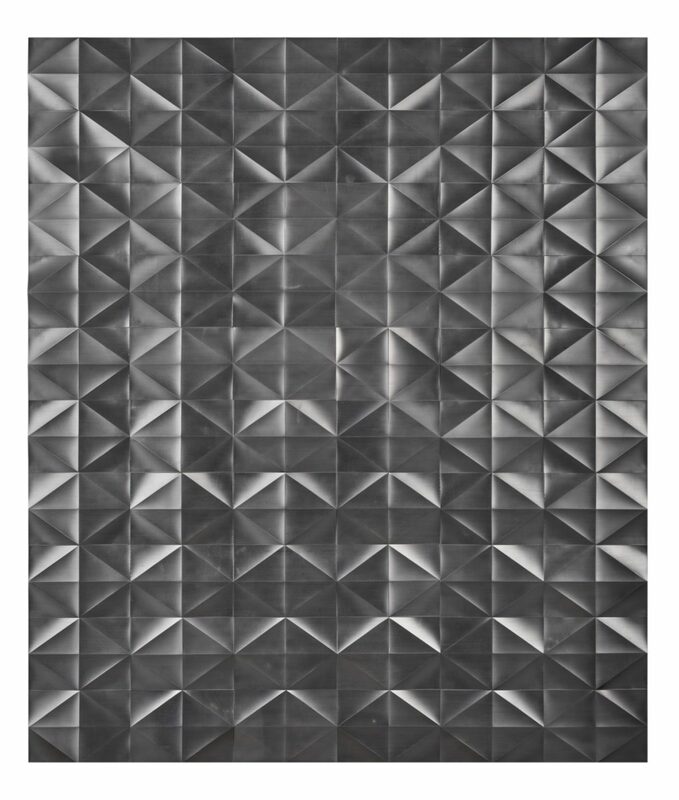 Through sound, drawing, object, painting and photography, Sultana is interested in the poetics of space and the relationship between material and process in notions of making. Within the context of drawing, her recent body of work is an investigation into the rudiments of form through architectural constructions, often derivative of the landscape. London gallery Arcadia Missa take residence at Lomex, with a group show of work by artists Emma Talbot, Penny Goring, Lewis Hammond, Tahj Banks, Sean Mullins and Dachi Cole. Talbot’s work explores personal experience and internal narratives via a range of media, incorporating painting on silk, drawing and installation. She uses the language of the hand–made with immediacy, to give psychologically driven thoughts and ideas a physical presence. Showing at Queer Thoughts are artists Aidan Koch, Alex Olson, Diamond Stingily, Puppies Puppies, Kaoru Arima, and Matt Paweski via Park View/Paul Soto, Los Angeles and Brussels. LA based artist-designer Matt Paweski creates sculpture out of materials used for furniture: birch plywood, steel, enamel, and copper rivets, while Aidan Koch’s illustrated, textile, and sculptural pieces similarly compel both a visceral reaction and a romantic idolisation appropriate to their ancient symbolism.